Garage doors lead pretty simple lives. Up, down, up, down, over and over, year after year—until suddenly they don't work the way they should. Fortunately, that simple life usually makes for relatively simple repairs. Sometimes, though, even reliable old garage doors bite the dust or need major repairs. Examine the rollers and tracks on the garage door. If you can't remember the last time you cleaned them, now is the time to clean the rollers and tracks with a good brushing and to lubricate the rollers and axles. The bearings on rollers can also wear out; replace any rollers that don't operate smoothly. Tighten the hardware. The tracks that guide the rollers on an overhead garage door are assembled in sections and attached to the garage with brackets. Makes sure the sections are well secured and that the screws and bolts holding the brackets in place are tight. Check the cables and pulleys. Spiring-operated garage doors have cables and pulleys that may wear out over time. Frayed cables and damaged pulleys need to be replaced—a job best done by professionals. Test the autoreverse feature on the door opener. Garage door openers are designed to automatically reverse and lift the door if it encounters an obstacle on the way down to the floor. If this feature no longer works correctly, the heavy door poses a safety hazard and the door opener should be repaired or replaced. If none of these solutions fix your problems, or if you would rather just let someone else fuss with the pdoor, look into calling a good garage door installer and repair technician. 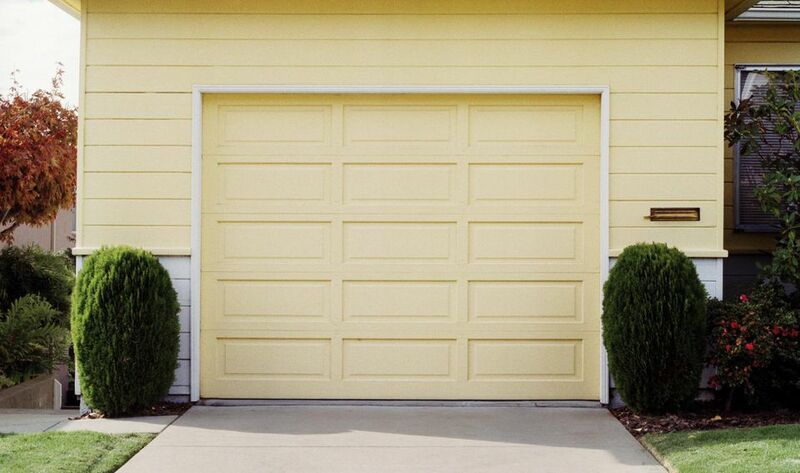 Here are some other common garage door problems you may be able to fix yourself. Once you get the door open, clear away any water, ice, or snow from the floor beneath the garage door. Keeping this area of the floor dry will prevent future freezing. When a garage door opener is very old, or when it fails to work properly, installing a new opener is not just a convenience, it is a matter of family safety. Have you ever noticed just how much you use, and rely on, your garage door opener? Sure, we spend the big bucks for attractive front doors to our homes, but for many of us the actual coming and going usually takes place through the garage. And that means we depend on the garage door opening and closing whenever we press a button. So, when the garage door opener decides to take a day off, it can leave you stuck outside, perhaps during a rain or snow storm. Though they may seem complicated, there are several easy actions homeowners can take to diagnose and repair common garage door opener problems. Properly maintained, a garage door can last for 50 years or more, but when neglected they may fail within 10 or 15 years, at which time there is no real choice other than to replace it. More likely, you may choose to replace the door for aesthetic reasons—because you are simply tired of how it looks and want to change the style. What are the choices for materials? What style of garage door will look best on my home? How do I get the best deal on installation?